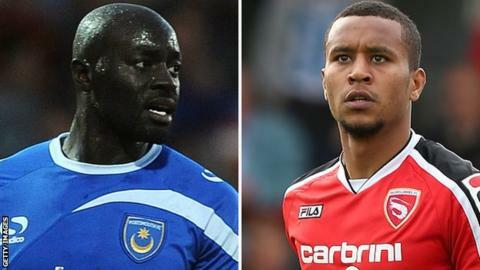 Dagenham & Redbridge have signed Portsmouth striker Patrick Agyemang, Watford forward Alex Jakubiak and Bury defender Joe Widdowson on loan. Agyemang, 34, joins the Daggers until 3 January, subject to League approval. Jakubiak, 18, spent time with Oxford United earlier this season and joins until 29 December. Left-back Widdowson 25, made nine appearances during a spell at Morecambe earlier this campaign and will be with the League Two club until 4 January. The former West Ham United trainee joined the Shakers on a short-term contract this summer but has only featured once for them. Agyemang has scored 76 goals in 510 career appearances but the former Wimbledon FC, Preston, QPR and Gillingham man has failed to score in 10 outings for Pompey this season. Meanwhile, Daggers left-back Nathan Green has joined St Albans on a month-long loan deal.